Can it be date night again? Steve and I celebrated our 8th wedding anniversary (yes, 8! we were such babies when we got married, hehe) this past weekend and you better believe I wore this black cutout shoulder top. I shared over on Snapchat this look a few weeks ago, and I have been dying to shoot it properly to share on here. We were finally able to shoot it a few days ago and so, voila! 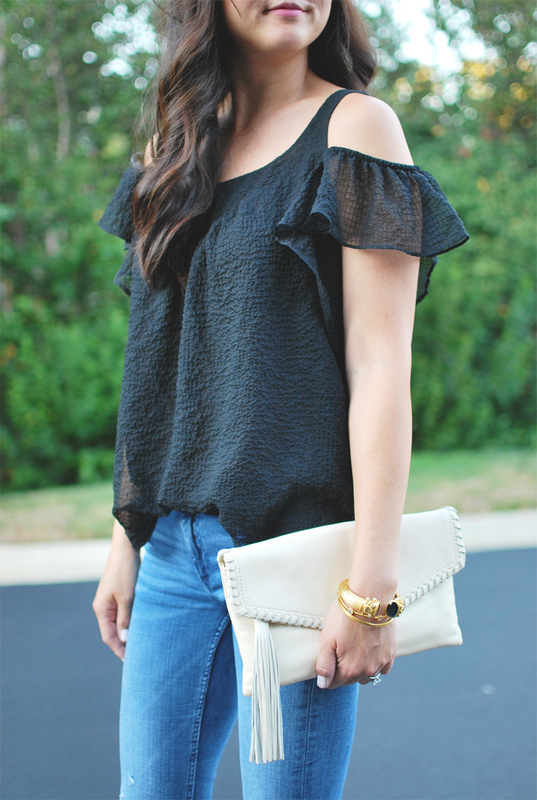 The cut-out-shoulder continues to be one of my favorite trends right now (did you see the $13 cut-out top I styled?) and I honestly don't see it going anywhere any time soon. I've been seeing it in sweaters as well, so I'm thinking it's here to stay well into Winter. 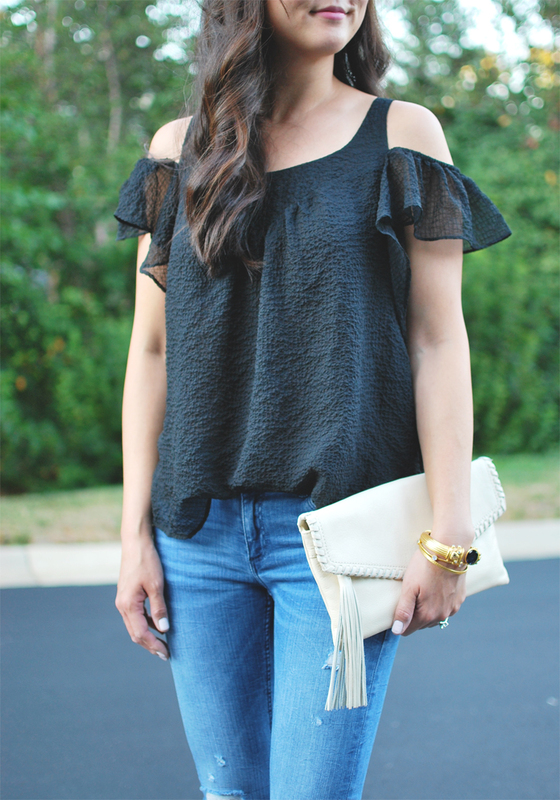 This particular one from Anthropologie caught my eye because 1) it's black and is overall flattering, and 2) the fluttery sleeves were just so darn romantic. 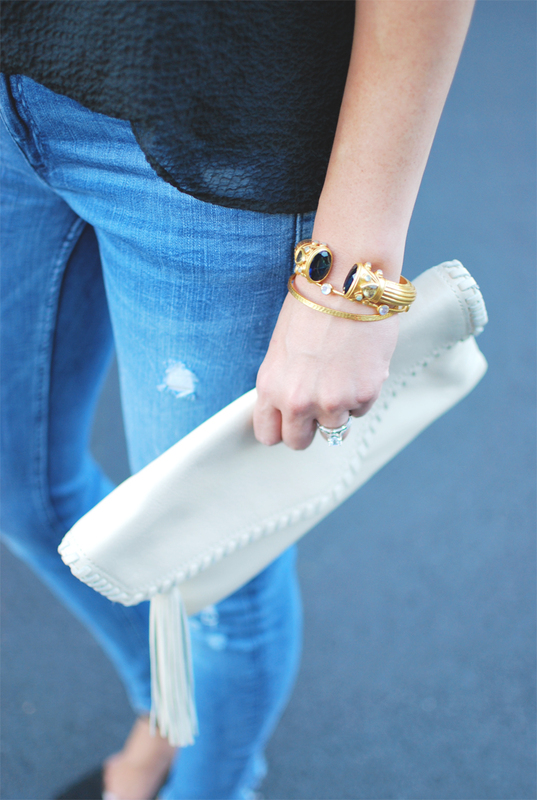 I edged up the look a bit with some distressed skinny jeans and modern d'orsay heels. 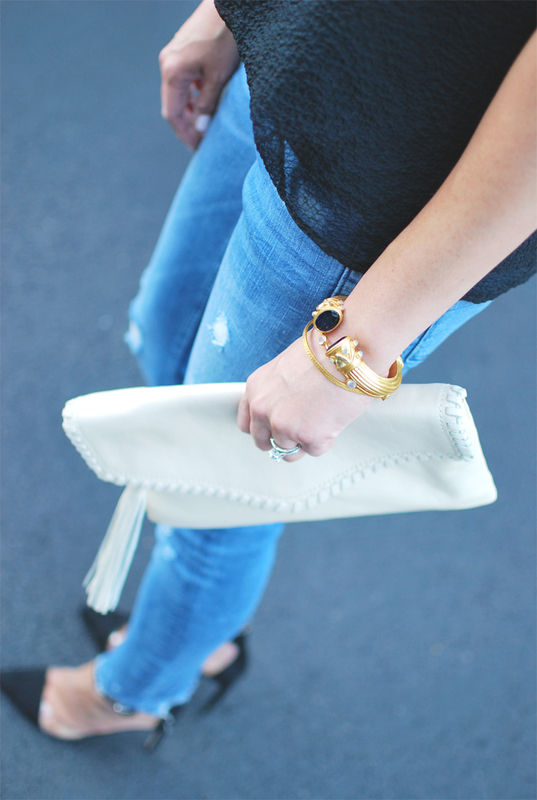 Added a cream tassel clutch and it was an easy look to wear to celebrate our anniversary. 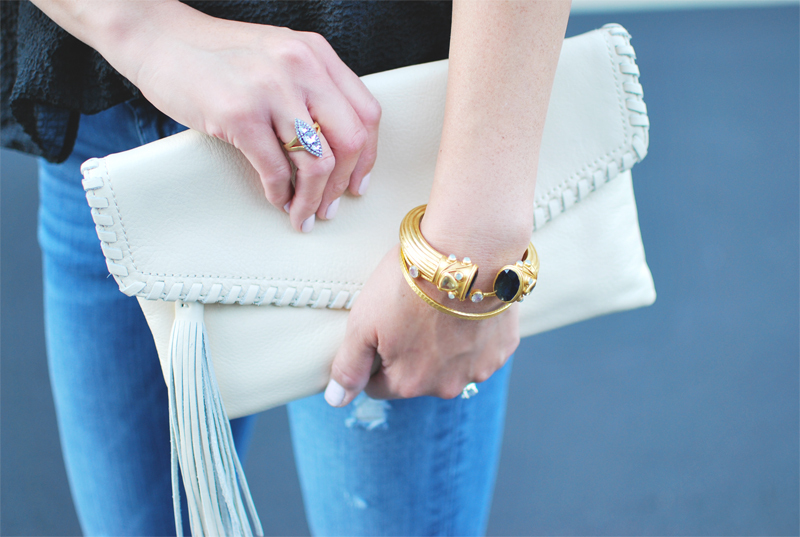 Oh, and I had to add some bling to complete the look. This Julie Vos Byzantine cuff was a gift that Steve gave to me a few years ago and I only thought it fitting to wear it with this outfit. And my new favorite ring that I picked up the other day (it was on sale) was perfect as a right-hand cocktail ring.